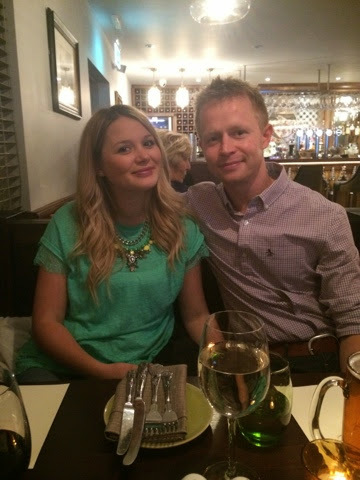 Home|Blogging|Mr Meldrum has left me! Mr Meldrum has left me! So here was little old me thinking I would be rocking every baby class in my local village upon hubby’s departure, singing songs, crafting, cake eating & endless cups of tea whilst Mini Meldrum played beautifully & Baby Meldrum slept (as newborns do so well) but no… It’s the bloomin ‘Tattie Holidays’! For anyone that doesn’t know the Tattie holiday’s is a two week school break in October- traditionally when the kids would go to the fields & pick potatoes. Anyways, a combination of baby brain & being a little out of the loop on what day of the week it is, never mind when the school holidays are has left my busy bee plans in tatters. So I’m now looking for two weeks worth of activities to do whilst Mr Meldrum is busy being a North Sea Tiger! 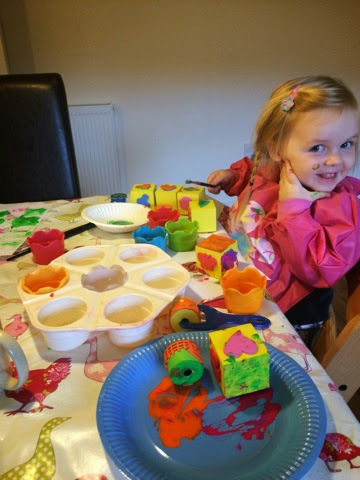 So far we have 2 birthday parties, 4 visitors lined up, a few coffee & cake dates, afternoon tea with antenatal group ladies & babies, S in nursery 4 days, my sister visiting for the weekend & lots of painting, play doh play & walks. This sounds like a lot but I’m sure it won’t be enough to keep mini Meldrum & I entertained. We both like to be kept busy & have lots of activities planned. I wasn’t at all phased about hubby’s whopping 8 weeks paternity leave coming to an end but now it has I’m a little more nervous. Simple tasks such as cooking dinner now feel like huge ordeals with keeping my eyes on the rugrats/feeding/changing/stopping mini Meldrum from carrying Florrie-Belle around like a dolly! I’m sure we’ll be fine- it’s probably more the thought of it & in practice I’m sure everything will go just swimmingly! Here’s hoping anyway! I’ve had a truly lovely time having hubby home for so long & spent lots of quality time together enjoying time just the two of us as well as a family of 4! Mr Meldrum doesn’t read my blogs so I can be a little bit soppy & say how wonderful he is & just how much I love & appreciate him! I’ll miss the bugger whilst he’s away!